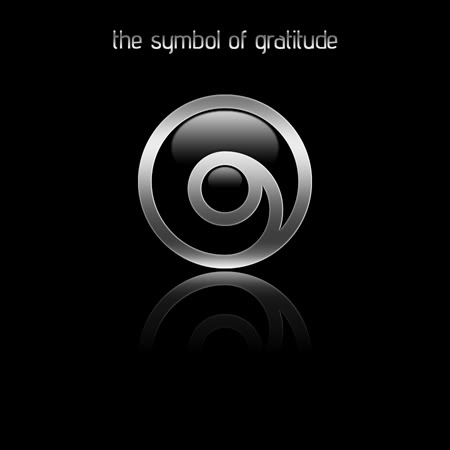 As I got a request for a gratitude symbol, I did some research and found what looked like a ‘g’ surrounded by a circle. There already was a symbol, so whatever I created had to sum up what the person was grateful for. I worked in her initials and the initials of her immediate family members. I kept the circle for the universe and the eternal. All connected in one fluid line, a unit. The imperfect circle to describe life itself and our humanity. It was fun that at the end the belly of what is a ‘j’ suggest the head of the ‘g’ and resembles the already existent gratitude symbol at the same time. All along I thought of what I am grateful for. And how powerful it could be to have a visual reminder of our gratitudes, perhaps our priorities. A very personal logo indeed.